Alua Village Fuerteventura is situated in the Jandia Peninsula and is about 300 metres from Butihondo beach – one of the best beaches of Fuerteventura in Canary Islands. The beach is well-known for its fine white sand and turquoise waters and gives a chance to discover the vast natural landscapes of the island. A perfect stay option for families, couples and friends in Fuerteventura, the resort is located in a calm and peaceful environment where guests can make use of a wide range of entertainment and fun activities such as swimming pools, Jacuzzi, spa, sauna, Turkish bath, gym, solarium, kids' pool and sports facilities like golf, squash, table tennis and archery. The hotel’s restaurant offers a variety of local and international cuisines, while the pool bar, snack bar and disco bar take care of your drinking needs. The resort offers free Wi-Fi in communal areas and the well-appointed rooms come with amazing views of the sea. 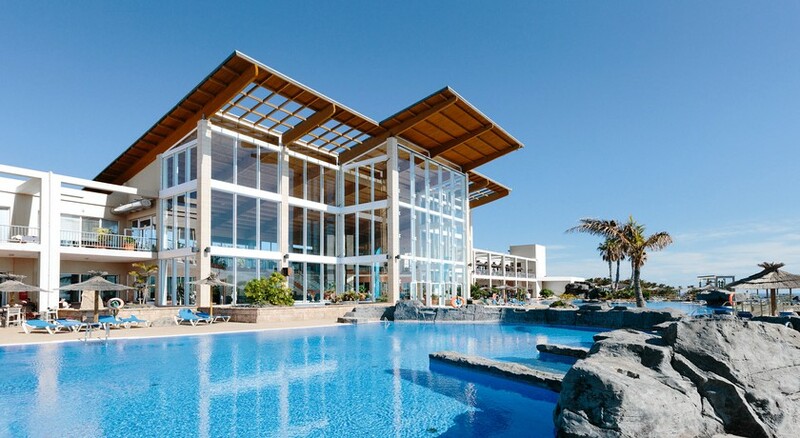 The hotel is located in the Jandia Peninsula, which is a south-western part of the Fuerteventura Island. The Butihondo beach is 300 metres away from the resort. The town of Morro Jable is 5 km away, which has its own shops, restaurants, and nightspots. 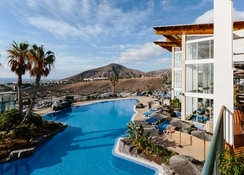 This hotel can be reached in 50 minutes from the Fuerteventura Airport. Alua Village Fuerteventura has 244 rooms, 8 suites and 4 rooms designed especially for the physically disabled. All rooms are air-conditioned with a terrace and the bathrooms with a bathtub or shower. Rooms are equipped with satellite TV, hire safe, music, telephone, fridge, and a hairdryer. For business travellers, a conference hall is available. The hotel’s own restaurant – Mare Nubium Restaurant, serves a wide variety of delicious dishes made with the finest local ingredients. It serves breakfast, lunch, and dinner in buffet form. Also there is a poolside bar which serves refreshing drinks and snacks. This hotel provides buffet breakfast, lunch and dinner in the all-inclusive package. Half boarding dining option is also available. Alua Village Fuerteventura features 3 outdoor swimming pools, one of which is a separate pool for children. Also, there is an indoor heated pool. Guests can relax on the sun loungers shaded with parasols on the sun terrace. There is a poolside snack bar that serves snacks and refreshing drinks. Guests can also relax in the solarium near the pool area. A wide range of sports facilities such as table tennis, squash, badminton, snooker (local charge), and archery are available. There is also a gym and a fitness facility for guests. Spa and sauna services offer full body massage, fish spa, and steam room (for additional fee). On the beach, various water sports such as diving, surfing, windsurfing, and sailing are offered by the resort. Beach volleyball can also be enjoyed here. Golf lovers can head towards the nearby golf course, which is about 5 km away from the hotel. Children can enjoy at the mini disco and other outdoor play areas.